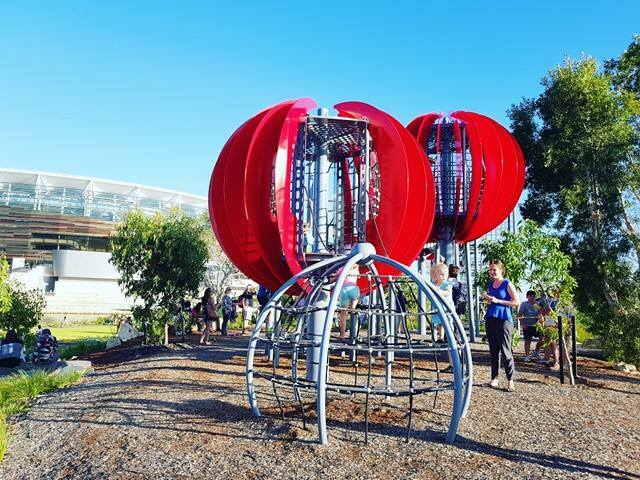 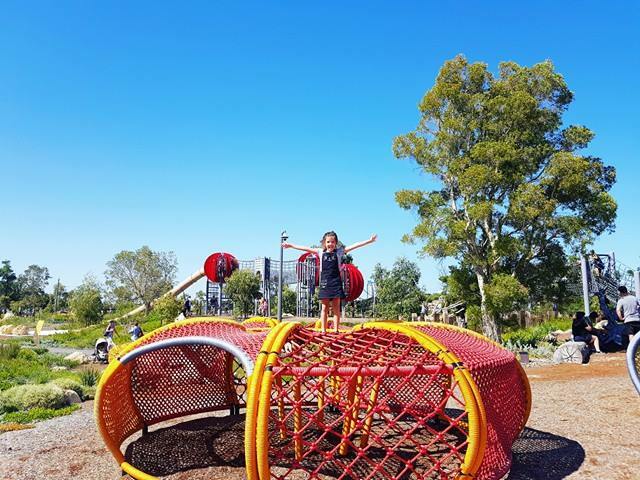 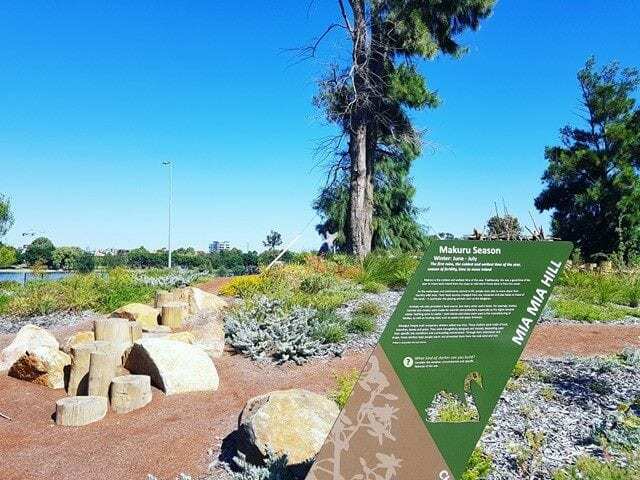 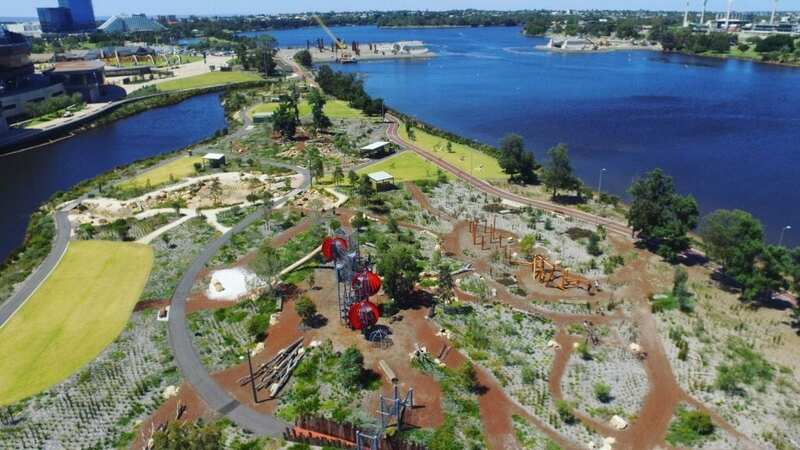 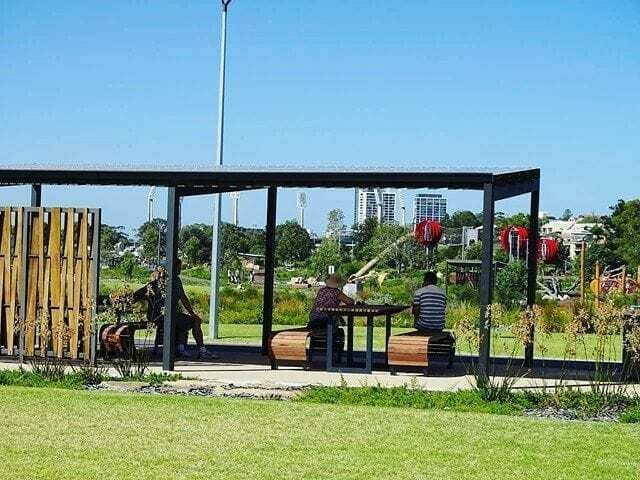 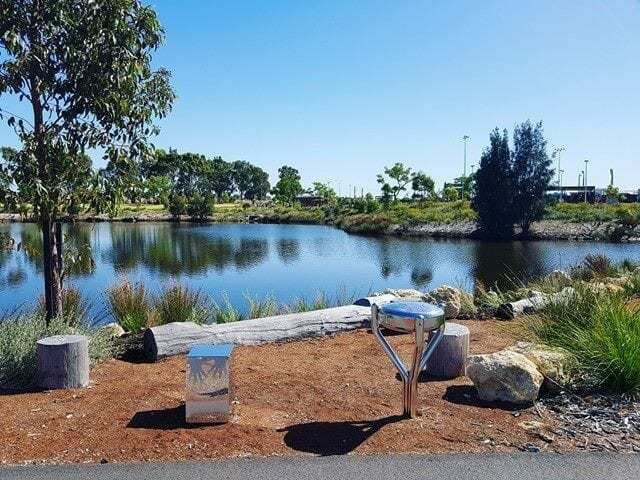 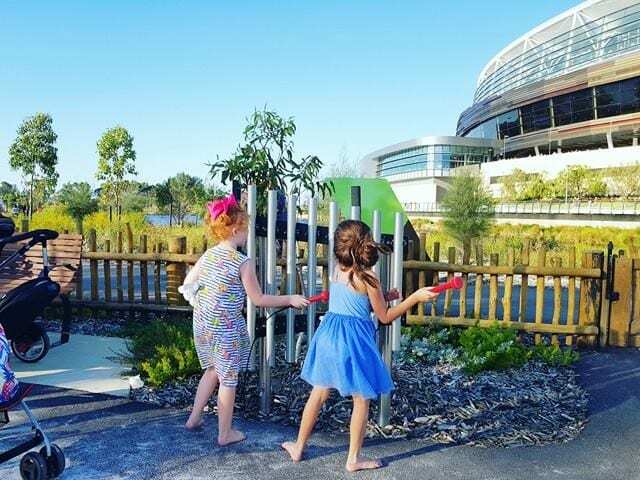 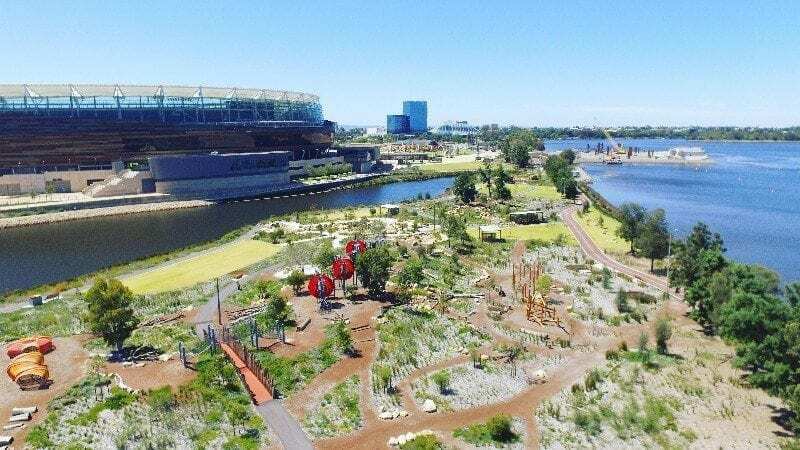 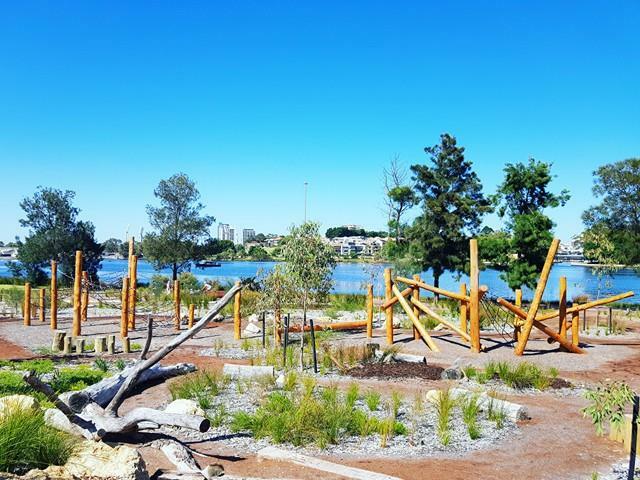 Situated on the Swan River foreshore alongside Optus Stadium, the Chevron Parkland includes 2.6 hectares of rehabilitated parklands and nature-based playgrounds. 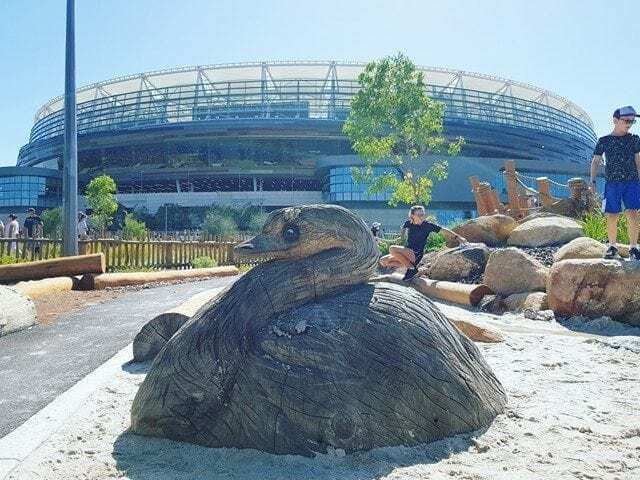 Chevron Parkland was officially opened as part of the Optus Stadium Open Day in January 2018. 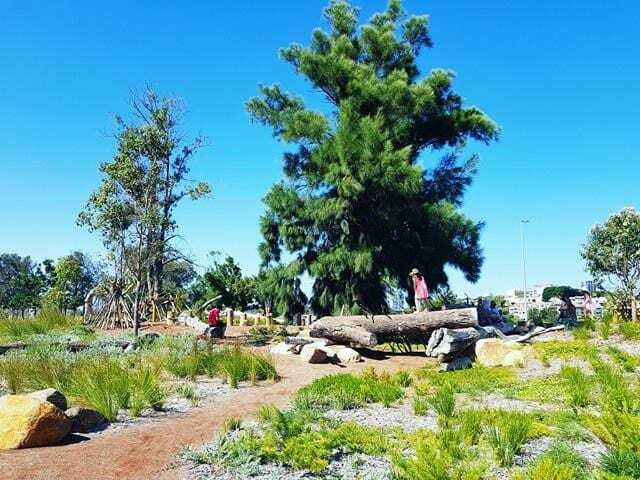 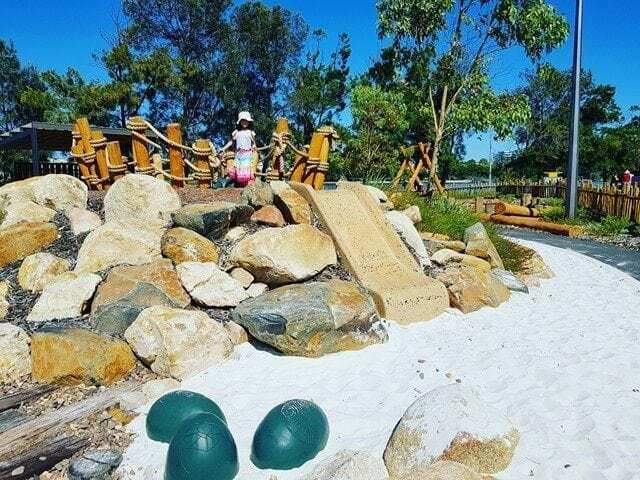 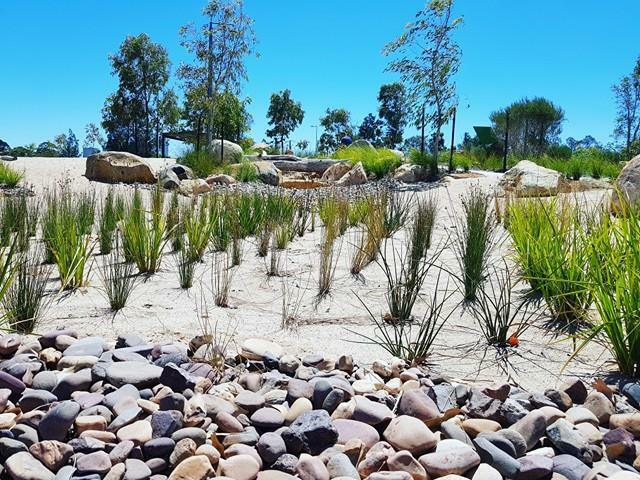 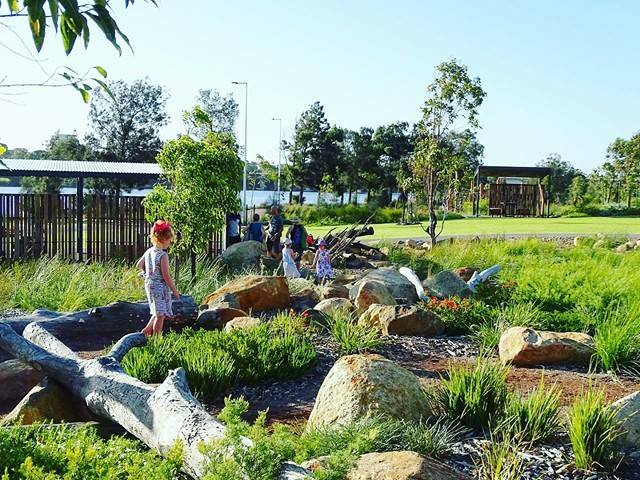 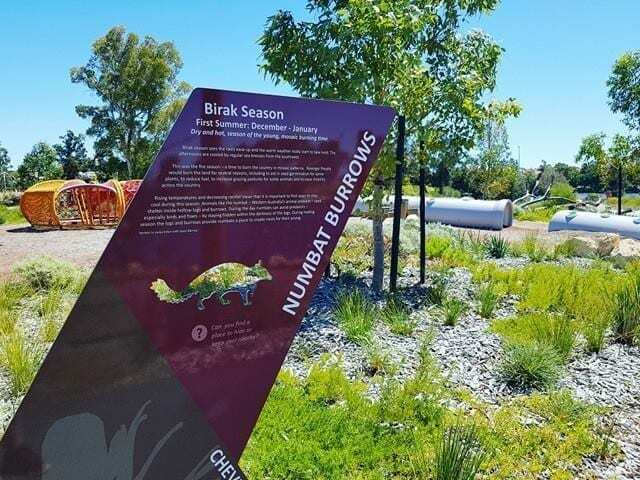 There are six nature play areas within the Chevron Parkland, all designed to encourage children to explore and participate in unstructured play, each play space is inspired by the Noongar six seasons. 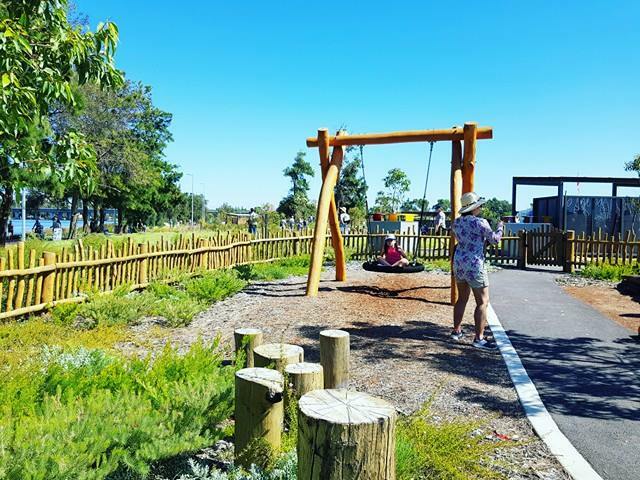 This area has been designed for young children, it is fully fenced and includes a small slide, water play, music play, a birds nest swing, and balancing logs. 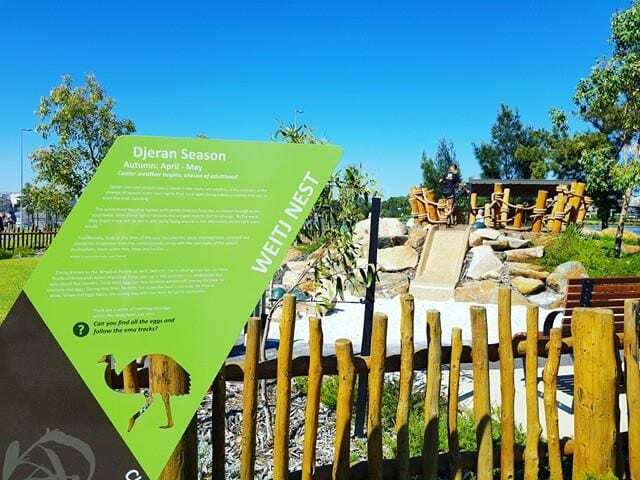 There is also a gorgeous wooden emu carving, follow the emu tracks to find a series of hatching emu eggs. 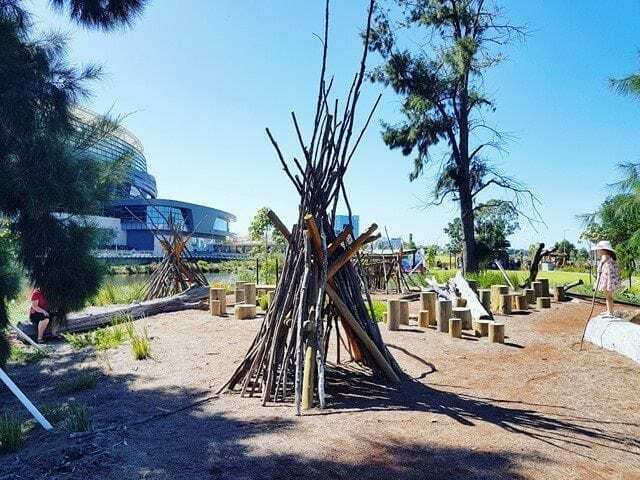 This area is the ultimate back to basics nature play zone, kids can let their imaginations run wild as they build their own teepees and forts from sticks, climb trees, rocks and logs. 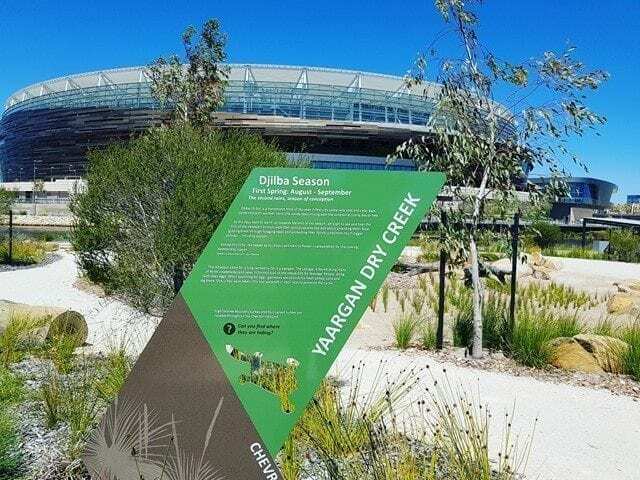 As the name suggests, Yaargan Dry Creek is just like a dried up creek with river stones, small plants, rocks, logs and wooden bridges. 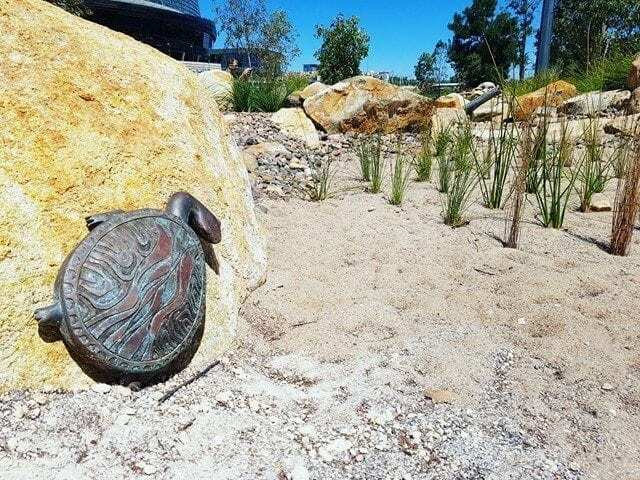 The Whadjuk name for a long-necked turtle is a Yaargan, there are 8 bronze discovery turtles and 4 carved turtles located throughout the Chevron Parkland – can you find them all? 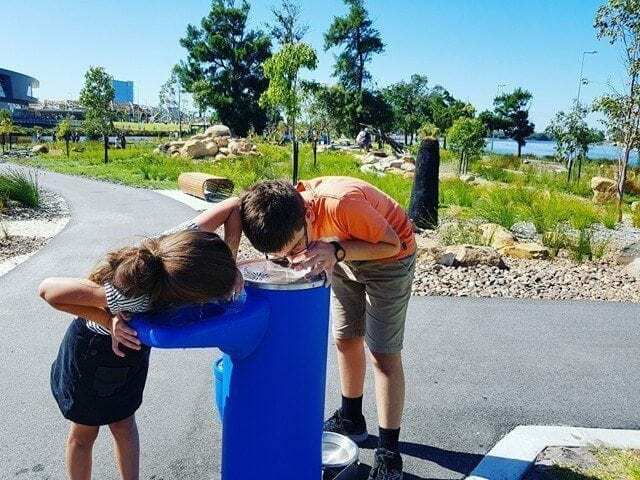 A big hit with the older kids! 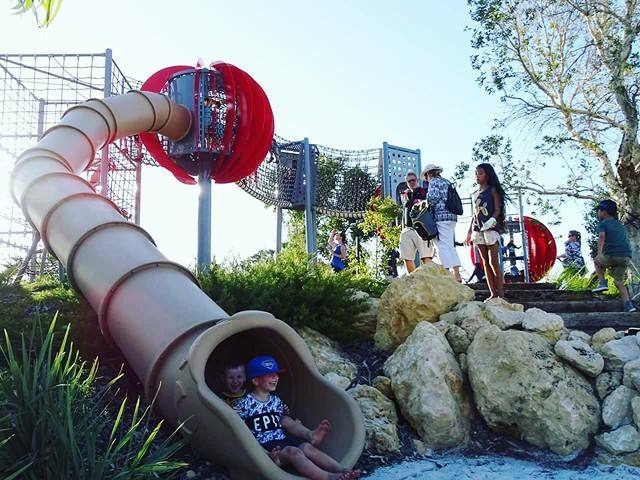 They’ll love scaling the huge climbing structure than sliding down the long tunnel slide. 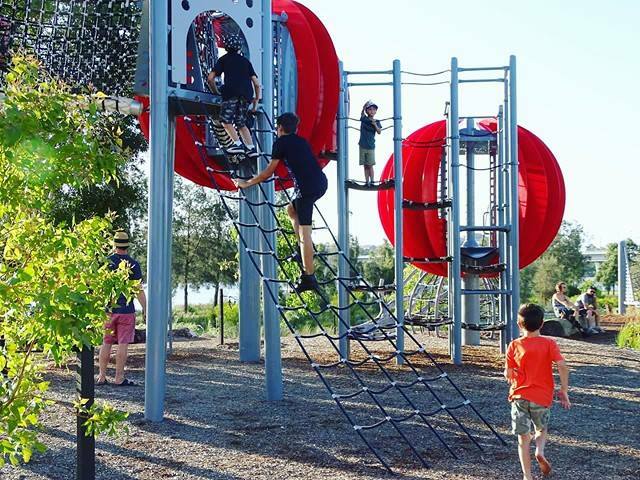 Near the Qwandong Towers you’ll find the Marlak Climbers. 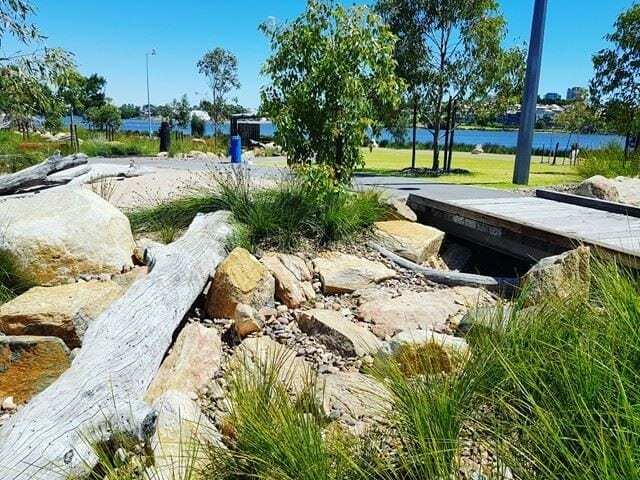 You’ll need to watch young children around this play space as it is right on the edge of the water. 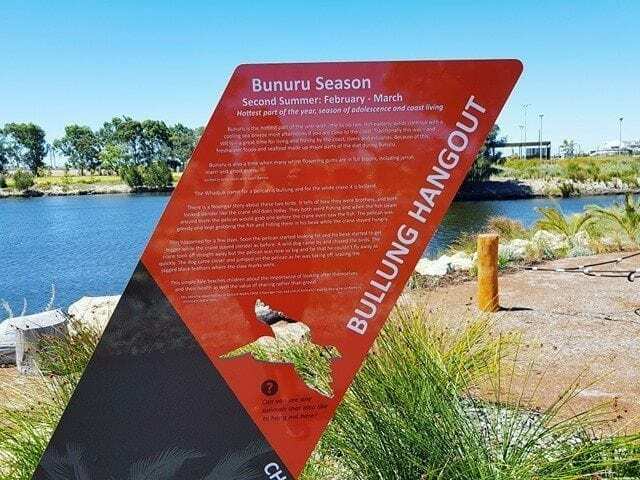 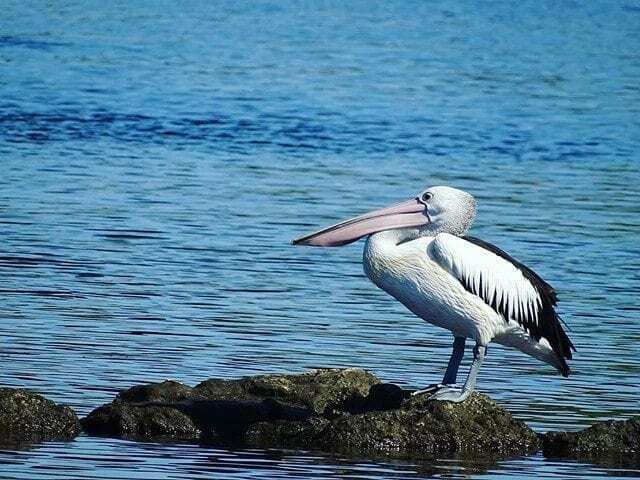 The Whadjuk name for pelican is Bullung and for a white crane it is Bulland, birds that are regularly found in the Bily Lake. 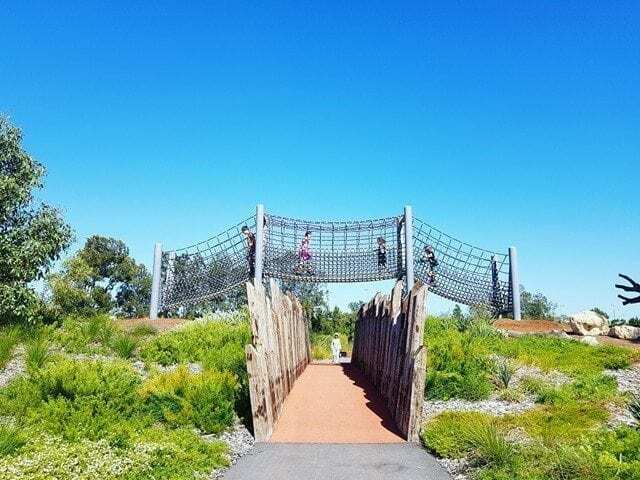 Children can climb the ropes and try to spot some birds. 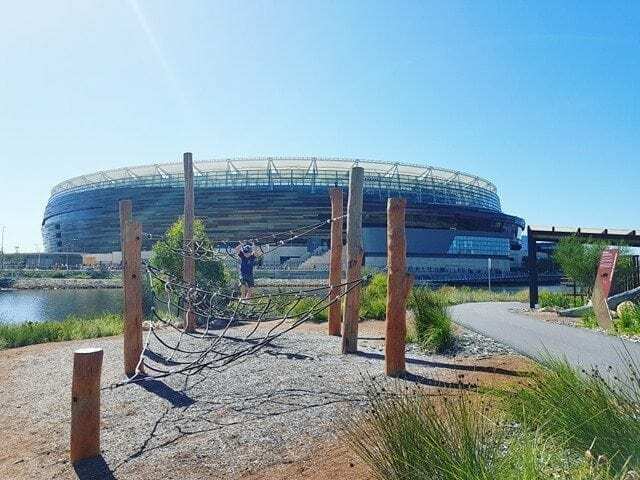 Nearby are two drum instruments and log seating. 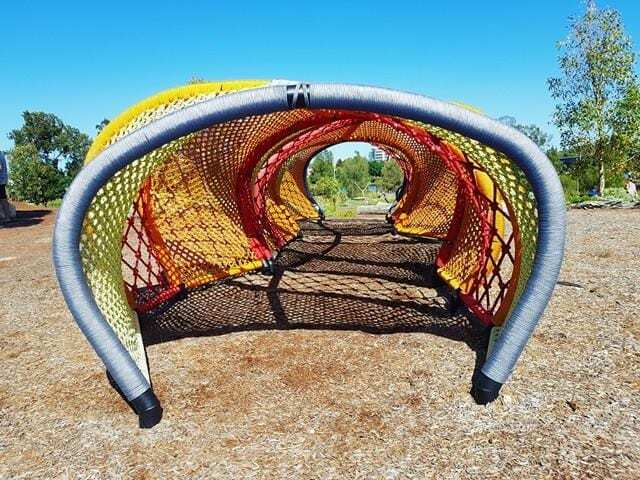 If you have kids who love to play hide and seek or crawling through tunnels, they’ll love this play space! 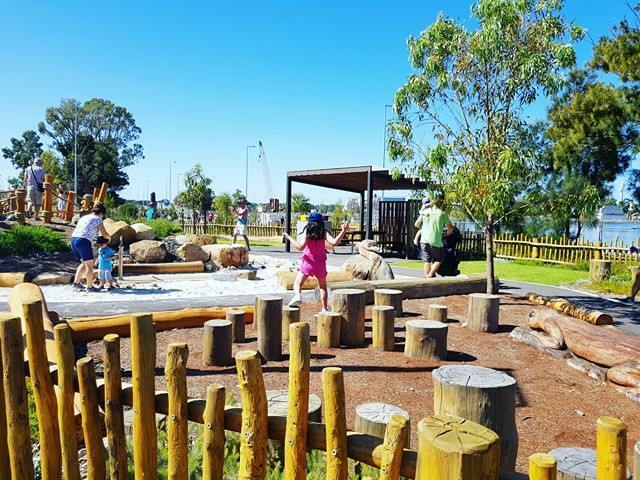 All play areas have very limited shade, bring a hat, suncream and a bottle of water! 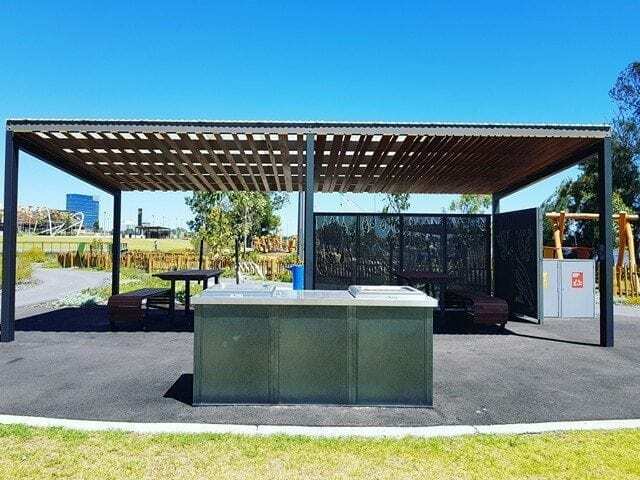 There are a number of BBQ areas, shelters, picnic facilities and drink fountains in and around the play areas. 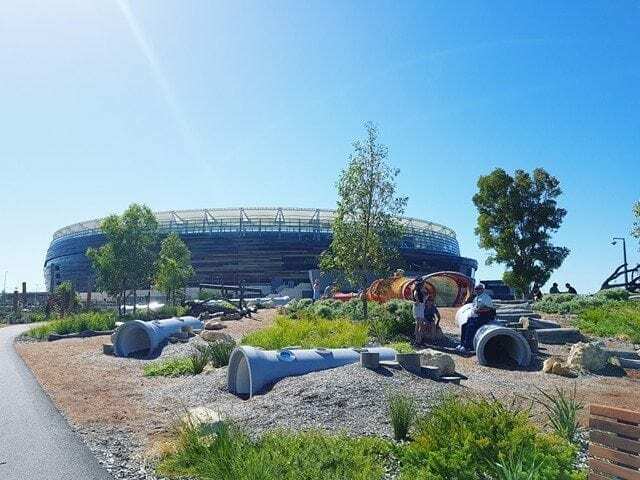 In addition to the play spaces, there are 4 lawn areas big enough to kick a ball on. 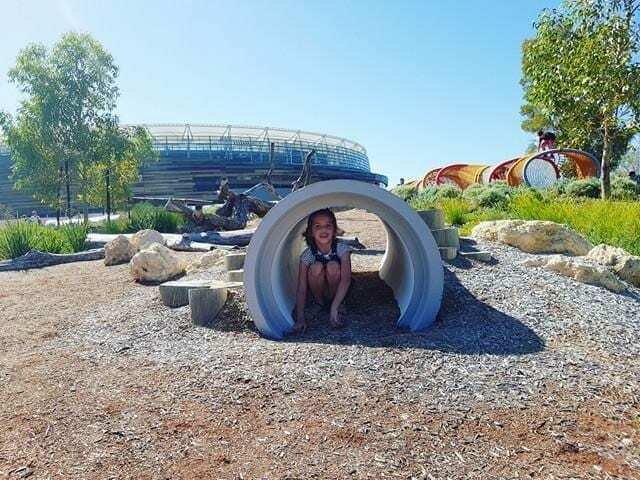 The Chevron Parkland is free for everyone to enjoy and open all year round, there is lots of free parking available at Optus Stadium on non-event days. 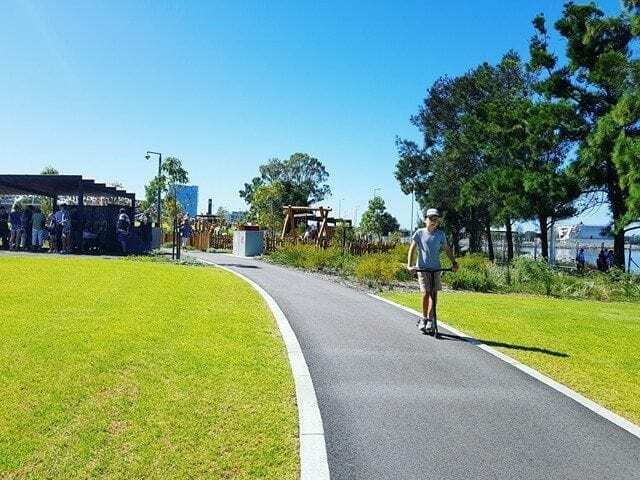 Bring your bike or scooter, there are plenty of pathways and bike racks. 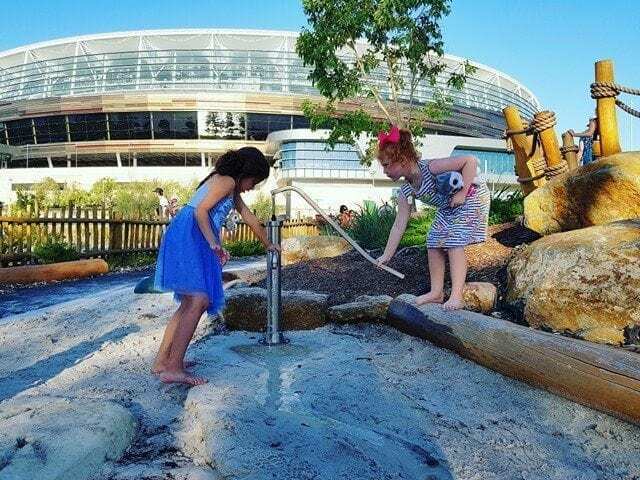 There are public unisex toilets located outside the stadium, while the toilets aren’t overly far away it may be difficult for little ones who are ‘busting’, so try to have a toilet break before heading into the parkland.